Green Financial Resources, LLC is an award winning firm, with experienced and customer-focused staff here to help you with your financial and investment needs. Clockwise from top: Roger Green, Jonathan London, Andrew Green, Kelly Schmidt, Samantha Adams, Cait Patterson, Rachel Braun, Hillary Mackay, Sarah Parks, Betty Huff, Beverly Gault, Taylor Sloss, Brittany Knowles, Michael Green, Tim Conway, Jason Piper, and Laura Green. Roger S. Green, President and CEO of GFR, has been helping people with their investment and financial planning for more than 30 years. He has a wealth of knowledge from these years of working with individuals and small business owners to help them make the important financial and investment decisions that will help them take control of their financial future to pursue their goals. Roger holds a Master of Science in Financial Services and numerous professional designations, and is a strong believer in the value of ongoing career-related education. 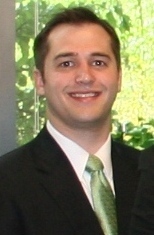 Graduate level work has earned him certificates in Financial Asset Management and in Pensions and Executive Compensation, and his ongoing educational focus has enabled him to earn the professional designations of Certified Financial Planner (CFP®), Retirement Income Certified Professional (RICP), and others. Roger is an Investment Advisor Representative, licensed and securities registered in the state of Georgia and numerous other states to provide a full range of investment and insurance advice. Put his wealth of knowledge and experience to work for you. Since 1997, Roger has spent a great deal of time conducting educational financial classes at local college campuses and meeting with people to help them develop financial and investment plans. He seeks to motivate people to plan for their financial futures, and specializes in teaching them how to effectively create their own retirement harvesting plans and work towards long term capital appreciation of their assets. Roger enjoys helping his clients better understand the financial marketplace in order to become more educated consumers. Where many financial advisers have minimum investment levels, Roger believes everyone should be planning for their future, and assists all who are motivated to seek his help, regardless of the size of their assets. 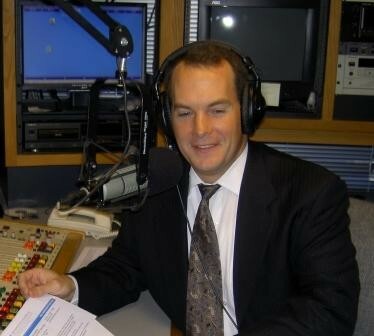 ROGER S. GREEN hosted a weekly educational radio program "Your Green" from 1998 through 2017 - about 20 years on 970 AM in Atlanta www.faithtalkatlanta.com. His last program was aired 12/30/17. Roger further grew his knowledge to serve you through this weekly preparation to record these programs - somewhere around 1000 radio programs recorded! Roger is a member of several professional organizations, such as The Society of Financial Service Professionals and the National Association of Insurance and Financial Advisors. 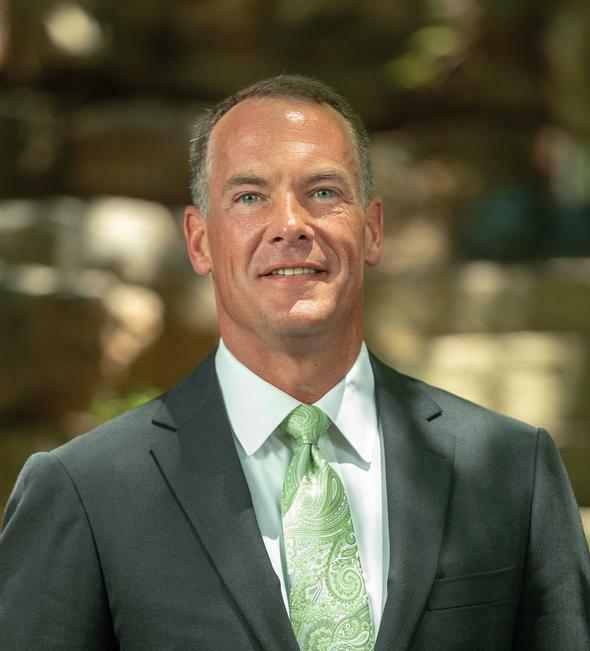 A Gwinnett County resident since 1991, with his office located in the same spot in Duluth since 1997, Roger is also a long-time member of the Gwinnett Chamber of Commerce. Jason Piper has been a member of Roger's staff since 1999. Through the years Roger has mentored and guided him, and Jason serves as Vice President of Business Development. He conducts client meetings, provides client investment and allocation recommendations, retirement and financial planning, and assists with client questions. To strengthen his knowledge, Jason has earned the Certified Financial Planner (CFP®), and other designations through rigorous continuing education. Jason is also an Investment Adviser Representative affiliated with Cetera Advisors LLC, and is licensed in multiple states to help you with your investment and insurance needs. Jason and his wife Cathy are the parents of two children. Tim Conway joined GFR in 2010 with a background in mortgages and financial services. Tim has since earned the Certified Fund Specialist (CFS) and the Chartered Retirement Planning CounselorSM (CRPC®) designations, while also working closely with Roger to learn his investment philosophies and strategies to help support Roger's clients. Like Jason, Tim is an Investment Adviser Representative affiliated with Cetera Advisors LLC, and is licensed to help you with your investment and insurance needs. Tim and his wife Jas have three daughters. Andrew Green, Roger's son, joined GFR full-time in 2016. He has since studied for and passed the Series 7 and 66 securities exams, and the necessary insurance exams. Andrew is an Investment Adviser Representative affiliated with Cetera Advisors, LLC, and a licensed Life, Accident, and Sickness and Variable Products insurance agent in the state of Georgia. He is being mentored by Roger to one day take over running the business with his brother Michael, and carry the Green Financial legacy into the future. Andrew is currently functioning in a dual role as a Client Service Manager and an Advisor. Andrew has also met the requirements to become a Dave Ramsey SmartVestor Pro. Andrew and his wife Kayla have two daughters, Aliyah and Anna. Dave Ramsey SmartVestor is a program where advisors pay to receive both training and client leads. Working with a Dave Ramsey SmartVestor affiliated advisor cannot guarantee investment or financial planning success. The Dave Ramsey SmartVestor program is not affiliated, sponsored, or endorsed by Cetera and is not affiliated with Green Financial. Michael Green another of Roger's sons, joined GFR full-time in 2017. He graduated with honors from Mercer University with a dual major in Accounting and Finance, and then from Georgia State University with a Masters in Finance after completing an accelerated one year program. After gaining work experience outside the firm, Michael has joined GFR with a plan to follow his brother Andrew to carry the Green Financial legacy into the future. Michael has studied for and passed the Series 7 and 66 securities exams, and the Life, Accident, and Sickness and Variable Products Georgia insurance exams. Michael is now an Investment Adviser Representative affiliated with Cetera Advisors, LLC, and a licensed insurance agent in the state of Georgia, but it currently acting in a largely administrative capacity as a Client Service Manager. Jonathan London joined GFR in 2015 with background as an attorney in a role as an Assistant Public Defender. Jonathan’s dual role includes serving as a Client Service Manager and Compliance Supervisor, assisting Laura Green, COO. 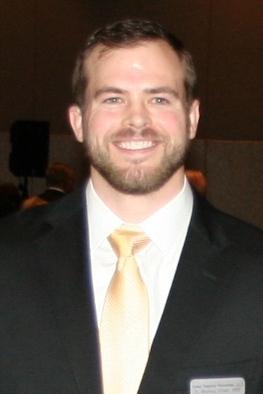 Since joining GFR, Jonathan has studied for and passed the Series 7, 66, and 24 securities and the Georgia insurance licensing exams. Although Jonathan is an attorney and an Investment Adviser Representative affiliated with Cetera Advisors LLC; he is functioning in an administrative role only, and does not provide financial or legal advice to our clients. Jonathan and his wife Natalie have three children. Kelly Schmidt, Brittany Knowles, Rachel Braun, and Samantha Adams provide additional support as Client Service Managers. They are your first line of support for requests on your accounts. While they do not provide financial advice, for anything from address and beneficiary changes to withdrawal requests and deposits, they are here to help. They facilitate the processing of investment and insurance applications and paperwork, monitor their progress, keep all of us updated during the process and share in a number of other duties to keep the office running smoothly. They may contact you to request your assistance in finalizing some portion of the paperwork process, or in the ongoing maintenance and service of your accounts. They can also answer any questions about the status of pending transactions or applications. Kelly Schmidt, with GFR since 2000, serves as Team Lead of the CSMs, and she also supervises our front desk admin team. Beverly Gault, Sarah Parks, and Hillary Mackay cover our reception, telephones, and provide other administrative support. Betty Huff, who has been with Roger since 1999, provides part-time administrative support. Any of the above staff may call you periodically to schedule a review appointment to meet with one of our advisors to go over your current financial situation. They will gladly accept any referrals you may have for friends or family who may benefit from our assistance with their financial planning, or attendance at one of our classes. Anyone you refer to us will be offered a complimentary, no-obligation consultation, focused on their individual investment planning situation. Roger's wife, Laura Green, has served for more than 18 years as GFR's Chief Operating Officer, managing all staff, all office and operational functions, all marketing and public relations, compliance, bookkeeping and our overall customer service delivery. She earned a Bachelor of Business Administration Degree in Management from Georgia State and has more than 38 years of extensive staff, customer service, and operational management experience. Laura has prior experience leading service delivery to numerous major corporate clients for a Fortune 500 Company. Cait Patterson and Taylor Sloss work part-time as marketing assistants, while Cathy Holbrook also works in a limited part-time capacity assisting with bookkeeping. Laura keeps things working behind the scenes, coordinating and monitoring all of our staff and all activities, and gathering feedback for our office to help us always strive to exceed your service expectations. We all welcome any comments you wish to provide on our staff, our office, or the service we deliver. We want your experiences with us to be exceptional and need your feedback to ensure that occurs. Roger has been in practice since 1987, starting out as an agent in Houston, Texas. Roger became a registered representative with MONY Securities Corporation/Mutual of New York, and was affiliated with MONY as an independent agent for nearly 10 years. During his affiliation with MONY, Roger was a top agent from early in his career, and was awarded the Theodore Shalak Award for exemplary client service and exceptional client persistency. Roger changed broker affiliations to IFG Network Securities, Inc. (which became Multi-Financial and then Cetera Advisors LLC) in 2000. This change supported his independent practice and continues to allow him the freedom to design plans for his clients from the full range of investment vehicles available. Roger has been the No. 1 (except for 2 years where he was No. 2) adviser nationally for Cetera Advisors LLC each year since his affiliation in 2000. Roger resides in Gwinnett with his wife, Laura. Roger and Laura are the proud parents of six beautiful children. Their family has expanded to include a daughter-in-law who has given them two beautiful granddaughters. More recently a son-in-law was added, along with a third granddaughter. In his leisure, Roger enjoys time with his family, travel, learning, golf, church activities, football, and movies. Roger was born in Oklahoma and spent most of his youth in Texas. Roger is an active member of Cross Pointe Church at Gwinnett Center and has served on the Board of the Touching Lives Christian Television Ministry, founded by Dr. James Merritt, since 2004. Along with service to these entities, Roger has provided time, talent and monetary support to numerous other charity and community causes. Roger's belief is that God's blessings are meant to be shared, and that philosophy guides his life. From July 2006 through September 2014, Roger also served on the Board of Directors for the Gwinnett Children's Shelter. For 2008-2009, he was selected to serve as the Executive Committee Treasurer for the Greater North Atlanta Franklin Graham Festival. In April 2010, Roger was selected to serve as the Campaign Director for Cross Pointe Church in Duluth and lead a fund raising capital compaign for the church, after having served successfully in the same role for First Baptist Church of Snellville in 2003, when the church was seeking to raise funds to retire debt and start the Cross Pointe location. In addition to his continued role on the Touching Lives Ministry Board, Roger has also been partnering with Friends of Gwinnett Seniors (FOGS) and with the Auditory Verbal Center (AVC) to assist with their fundraising. FOGS is an organization dedicated to supporting or supplementing selected senior programs, such as the county's meals on wheels and other programs benefitting seniors (most over the age of 85), allowing them to remain in their homes and remain independent. AVC teaches children with all degrees of hearing loss how to communicate clearly without the use of sign language. They trained Roger’s son after he suffered severe hearing loss as a toddler, and that training has enabled him to live a successful mainstreamed life. In November 2014, Roger accepted a position on the Board of FOGS and he continued that role through December 2018. During that time FOGS greatly expanded its contributions to the senior community and expanded funding and community support. In February 2015 he accepted a position on the AVC Board of Directors and is serving as the Chairman of the AVC Board for 2016-2019. Along with service to these entities, Roger has provided time, talent and monetary support to numerous other charity and community causes. Roger's belief is that God's blessings are meant to be shared, and that philosophy guides his life. 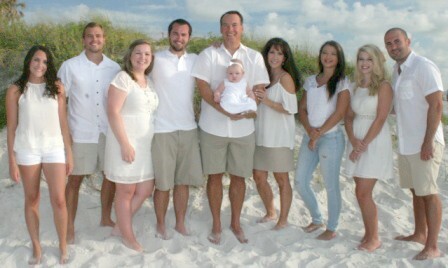 The Greens, their six children, daughter-in-law, and first grandchild! *The results from the above articles/awards should not be considered a guarantee of future performance and/or success.